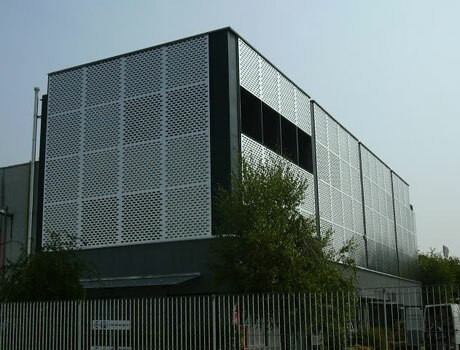 Covering facades with perforated metal sheet panels is an excellent solution with remarkable technological content. The perforated metal sheet covering is perfect for building new creations because of its strong aesthetic impact, as well as for restructuring or enlarging existing buildings. It covers previous structures with an expressive determined effect of chromatic shielding.